Are SkyTrain’s MK. 1 Cars Safe? As the Scarborough ICTS cars and Vancouver’s MK.1 cars are the same, one would surmise there are corrosion problems with Vancouver’s cars, especially in Vancouver with airborne salt from the sea. Does the public have the confidence in TransLink to keep them safe? TTC asking board’s permission to award $6.8-million sole-source repair contract to Bombardier. An inspection of the TTC’s aging Scarborough RT vehicles uncovered a corrosion problem. The TTC plans to award Bombardier a sole-sourced $6.8-million contract to repair the decaying fleet.Ai??Ai?? (Marcus Oleniuk / Toronto Star file photo)Ai??Ai?? The TTCai??i? ?s aging fleet of Scarborough RT vehicles has a corrosion problem that could cause ai???catastrophicai??? 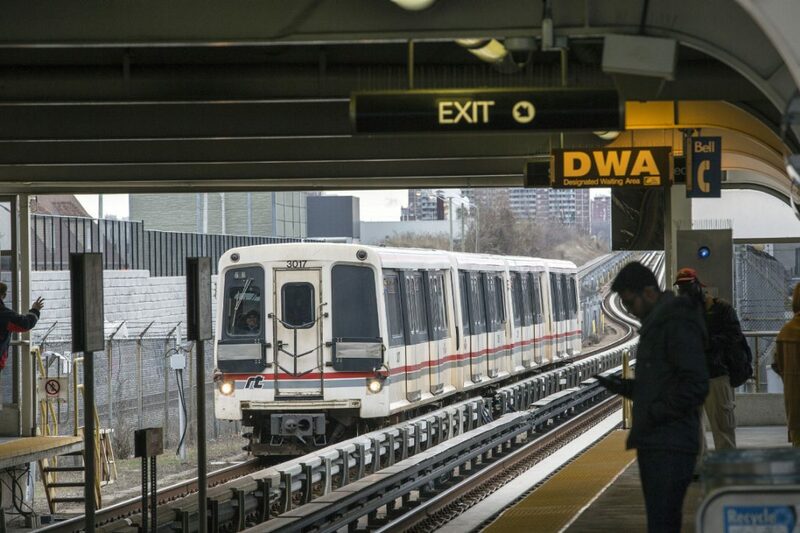 structural failures if not addressed soon, and the transit agency plans to award embattled rail manufacturer Bombardier a sole-sourced $6.8-million contract to conduct the urgent repairs. 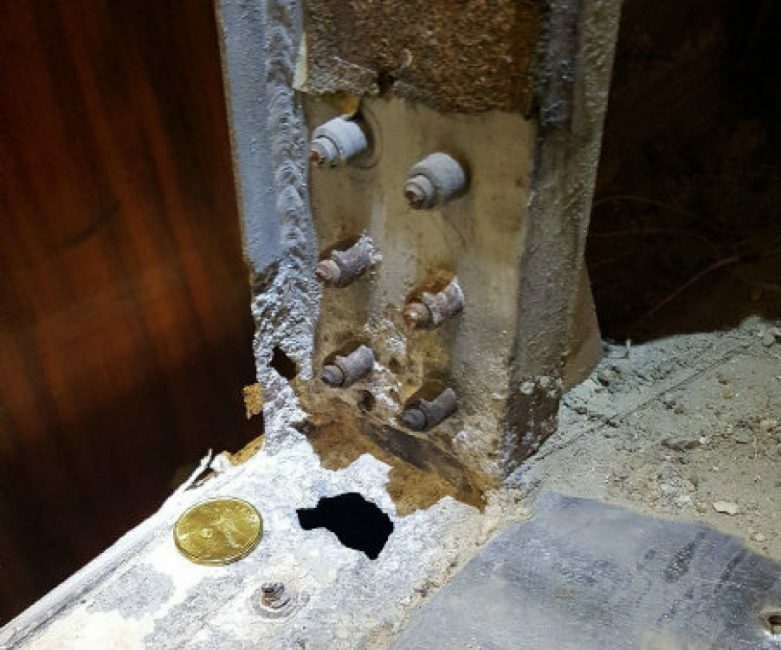 The TTC uncovered the corrosion issue during an inspection of its fleet that it undertook after council voted to extend the life of Line 3 (Scarborough RT) until the Scarborough subway extension opens a decade from now. ai?? ?When we peeled the floors back, we found that some of the vehicles had holes the size of toonies, and a lot of wear,ai??? said Raffaele Trentadue, the TTCai??i? ?s head of rail cars and shop. Trentadue said the problem was caused by decades of snow and salt accumulating near the doorsof the 32-year-old vehicles. This photo shows corrosion in one of the Scarborough Rapid Transit cars. The TTC has discovered corrosion problems in the cars that need to be repaired, otherwise they could lead to catastrophic structural failures. The corrosion has affected load-bearing joints of the door post and car-body frames. According to a report going to the TTC board on Thursday requesting funding for the repairs, if the decaying parts arenai??i? ?t fixed ai?? ?as soon as possibleai??? the corrosion might compromise the vehiclesai??i?? structural integrity. That could ai?? ?potentially lead to catastrophic vehicle failure and put the service plan of operating the system until 2026 at risk.ai??? TTC chief operating officer Mike Palmer said thereai??i? ?s ai?? ?no questionai??? that the vehicles are safe but the TTC needs to take proactive measures to ensure they remain that way. ai?? ?From our point of view this is a good news story. This is us not ignoring a problem, and (instead) dealing with it in quality way and in a swift way which also will benefit customers for the next 10 years,ai??? he said. The TTC first discovered the corrosion in 2015, but Palmer said it took until now to devise a fix for the problem. The TTC sent one car each to Bombardier and a Montreal-based company called CAD Rail to test each vendorai??i? ?s repair methods. Third-party consultants determined that only Bombardier was capable of developing a repair that would last 10 years, which is why the TTC is recommending awarding the repair contract to the company on a sole-source basis. Although Bombardier has faced fierce criticism for its repeated failure to deliver new light rail vehicles for the TTC and Metrolinx, Palmer said comparing the companyai??i? ?s ability to fix corrosion with those projects would be ai?? ?a bum steer.ai??? A company that Bombardier later bought built the Line 3 cars, and Bombardier still owns proprietary information about the vehicles. Palmer said the company was best positioned for the repair job, and added that the consultant determined that the price Bombardier quoted for the work is fair. If the TTC board approves the contract, the vehicles will be shipped by truck more than 300 km to a Bombardier facility in Kanona, New York that specializes in refurbishing rail cars. The Line 3 fleet consists of 28 vehicles, and all 26 that havenai??i? ?t already undergone repairs will likely need work. The TTC has few vehicles to spare however, which means there will be reductions in service. Until the repairs are completed sometime next year Line 3, which carries about 3.4 million people annually, will be down to five trains of four cars each, instead of the usual complement of six trains. The Scarborough RT was originally supposed to be decommissioned and replaced by an LRT line, which would have necessitated replacement bus service for about four years while the LRT was being built. That changed in 2013 when council voted to build the controversial Scarborough subway extension instead, and to spend $170 million to extend the Scarborough RTai??i? ?s life and then tear it down once the subway opened. At the time, the subway extension was expected to enter service in 2023, but that has now been pushed back to 2026, meaning the TTC will have to keep the SRT system running for even longer than expected. Asked whether the Scarborough RT will last that long, Palmer responded ai?? ?I donai??i? ?t have a crystal ball.ai??? But he said he was ai?? ?reasonably confidentai??? that the latest round of repairs will keep them in service for a decade. The TTC has already repaired the vehiclesai??i?? steel-and-fiberglass bodies, overhauled their mechanics, and upgraded the lineai??i? ?s track, signalling, and civil structures. Palmer said the work is paying off and delay minutes have been reduced by a whopping 79.2 per cent since 2014. ai?? ?You can keep any vehicle going for as long as you like,ai??? Palmer said, ai?? ?but obviously, the older they get the more you spend, and the more you have to be innovative.ai??? Raising trains for public transit 10 metres in the air is going to lead to a disaster and fatalities when one of the trains derails. Bye the way, how did the cougars manage to evade the “security” and get on the tracks? Doesn’t TransLink keep the stations closed and inaccessible at night? They don’t use salt on the roads in the Vancouver area as much as they do in eastern Canada so the corrosion issue will not be as acute. They do use brine, however, which dries into a fine airborne dust (as any winter cyclist in Vancouver knows all to well) however the elevated nature of the Skytrain will reduce exposure. Gotta wonder what metals and alloys Bombardier was using for the structural components on the cars though. You’d think they would use stainless steel in environments with known corrosion problems. Zwei replies: It is no salt on the roads, rather salt in thee air from the oceans and over time tend to be very corrosive. I have been told the process how vehicles corrode over time and it is a long and complicated one. Metal fatigue is another problem and goes hand in hand worth corrosion. The Mk.1 cars are now almost 35 to 36 years old and they work twice as hard as regular metro cars moving people. Time causes a lot of fatigue and corrosion issues.